Bahamas air provides safe and reliable air transportation throughout the Caribbean and internationally. 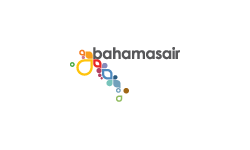 It is Bahamas national airline and operates domestic scheduled services to 14 destinations. Return flights to Providenciales run on Tuesdays, Thursdays and Sundays from Nassau. For more information visit www.bahamasair.com or call 1-800-222-4262.